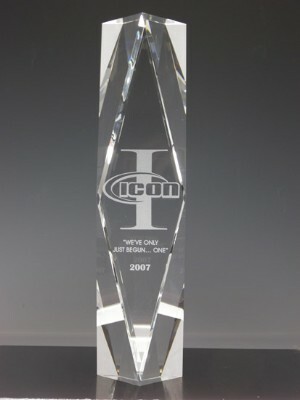 The Corporate Crystal Award features genuine optical crystal for clarity and is as flawless and clear as pure glass. The elegance of crystal is unmatched when choosing your corporate or sporting awards. These fine genuine crystal pieces are a product of flawless craftsmanship. Each item is sand carved for custom personalization. Genuine optical crystal awards.